I turned on the TV this morning at 6 am to watch the winter Olympic games. Not because I love the Olympics thaaaat much (though I do love them) but because I was waiting for the personal trainer who ended up not arriving due to traffic. There is much to love about the Olympic games -- the culmination of these athletes' years of training and sacrifice --and much to dislike (okay, more specifically Mr. Putin so not really the games). My favorite sport of the moment is that ski around and shoot --what is that? Biathlon? That's just wacky. This morning, I flicked past curling (hello? ), hockey and then started watching the Super Combined downhill skiing--Super Combined involves the sum of a downhill race result and a giant slalom race result. I watch downhill with a permanent wince as I am always wary of seeing some spectacular crack-up that will ruin my life. And the skier's. The best skiers had already gone down and I was left with the riff-raff from Argentina (wearing polka dots the first one, and blue the second--must have run out of funds for uniforms), Monaco and Belorussia. The scoreboard came up and besides marveling that that sport was essentially European, BH and I did not recognize a name. Finally they got to 12th place and there was Bode Miller's name. I like Bode as long as he does not open his mouth. I love that a New Hampshire boy can take on the Coloradans and Swiss on the snow. He is a multiple medal holder. But not this year. Apparently none of the favorites are in contention. While analyzing the placement results, the announcer said this year "deu zebra" (resulted in a zebra) since Mayer (?) was not in the top 3. A zebra? Now the Argentinians were wearing some wacky stuff but those were dots not stripes. And I can't really see a stripey horse on four skis. What's the deal? I looked up the expression on Terra's helpful site called "Voce sabia?" (Did you know?). So it turns out that "deu zebra" is a result that classified as an "unexpected tragedy." It is frequently used in sports talk. Let's use it in a sentence: "Spain deu zebra in the World Cup and lost in the first round." It has to be a very unlikely situation for a zebra to get involved. Apparently the expression came from the illegal lottery called the "Jogo dos Bichos" or Animal Game. 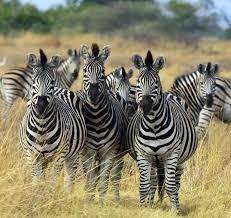 There are 24 animals in the game, none of which is a zebra. So if you got a zebra, it was an unexpected loss - since you weren't supposed to have a zebra anyway. Or something like that. I don't really understand the "Jogo dos Bichos" but I promise to study. Now I have to go turn on the TV because by the time this gets posted, the Super Combined will be over. Bode has already skied and came in fifth overall -- so far, with the leaders of the downhill yet to ski. Let's see how wide are the zebra's stripes. Labels: Brazilian expressions, deu zebra, Winter Olympics.